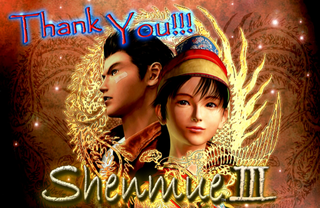 The long overdue Shenmue III racked up over US$6.3 million on Kickstarter. That’s a new record for video-game crowdfunding. The previous record was held by Koji Igarashi’s Bloodstained: Ritual of the Night at $5.5 million. The Kickstarter campaign was announced at Sony’s E3 press conference with a $2 million target. The game reached that goal in eight hours, making it the fastest Kickstarter to do so. Sega released the first Shenmue title in 1999 in Japan and a sequel followed in 2001. Fans have been waiting a long, long time for a third title. Sega gave Yu Suzuki the Shenmue license, because as the Shenmue creator told Kotaku, the company “felt safe” giving it to him. As Kotaku previously reported, Sony is pitching in to bring Shenmue III to life. So are the fans who shelled out over six million bucks.